Fine Champagne Cognac 85% Grande Champagne, 15% Petite Champagne. 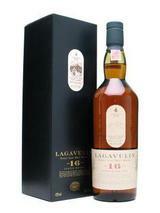 Contains particularly longer aged eaux-de-vie which are 10 to 37 years old. 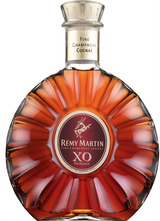 Rémy Martin XO Excellence, the Best of XO, stands out for its texture, complexity and richness, with more smoothness and perfect balance. This superb cognac is for those who demand and enjoy the best in life. This Fine Champagne Cognac has been blended with a symphony of more than 300 eaux-de-vie which are from 10 to 37 years old thereby leading to a myriad of aromas, a unique velvet texture and a longer finish. To vary the pleasure and savour its unique aromas and richness, try it neat, on the rocks or with fine foods; foie gras, chocolate desserts, sweet steamed dumplings. Nose: Wide spectrum of aromas of late summer fruit, combined with rich floral notes of white flowers such as jasmine. Taste: The perfect expression of Fine Champagne opulence on the palate with mature flavors of juicy plums and candied oranges, with a hint of hazelnuts and cinnamon. Body: Velvety, rich, and lingering. Drink Suggestion: To enjoy the opulence of the blend, XO should be served straight, at room temperature or even on ice.